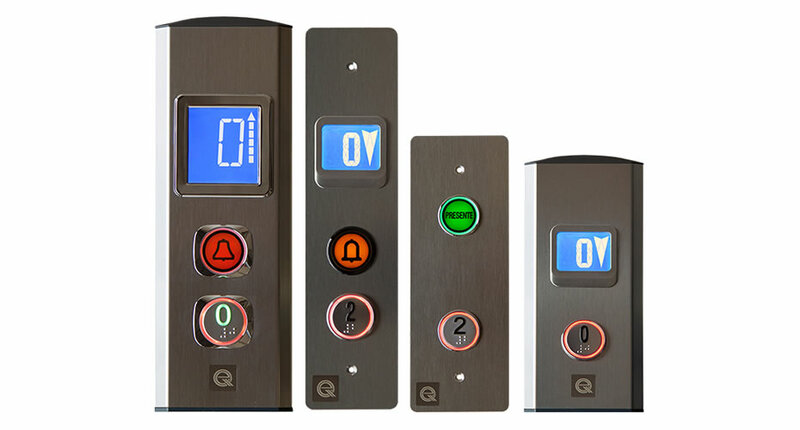 The smooth line of landing stations has been further enriched with a new series of buttons that comply with the current standards. BAM series with surface mounting can be placed without making any cutout in the door frame or in the wall; all components are located within a thickness of 21 mm. The BAS series has a flat profile (only 9 mm); it can be placed on the wall with a rear box or in the door frame with a cutout. BFP flat landing station with stainless-steel can satisfy specific needs.All tipologies can be used horizontally in the transom panel above the door for position direction arrows, alarm signals and gong. The finishing for BAS and BAM stations can be chosen among the different types of stainless-steel avaiable on the market, with the exception of the BFP type for thickness reasons.